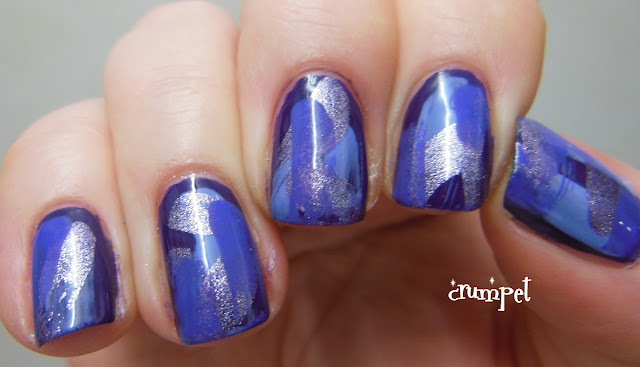 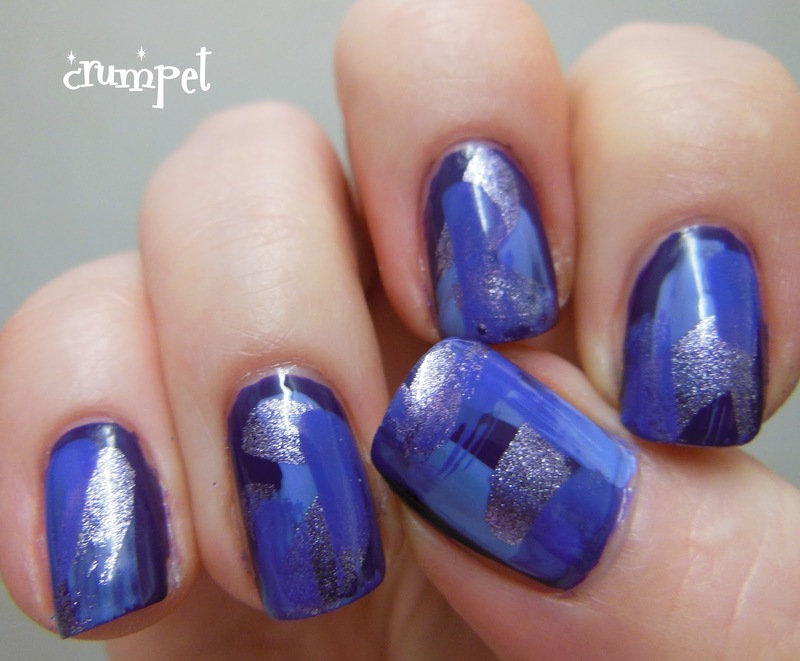 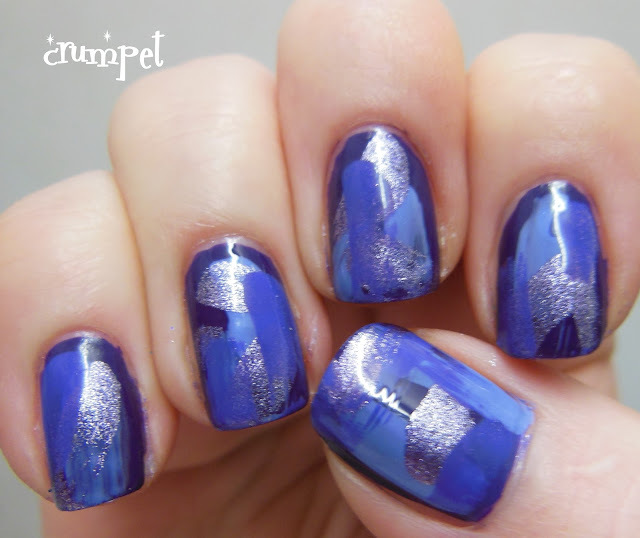 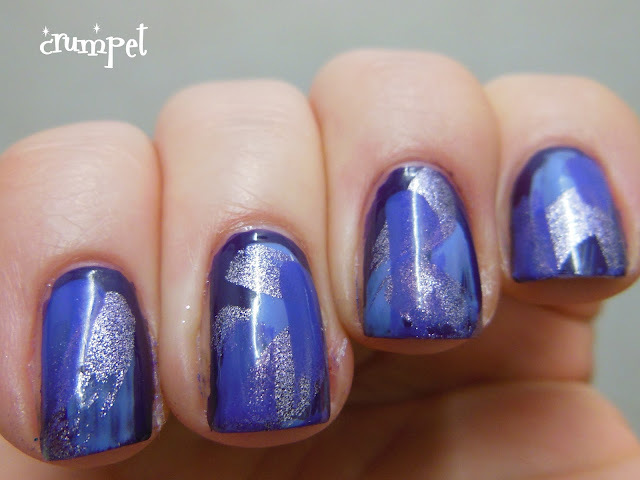 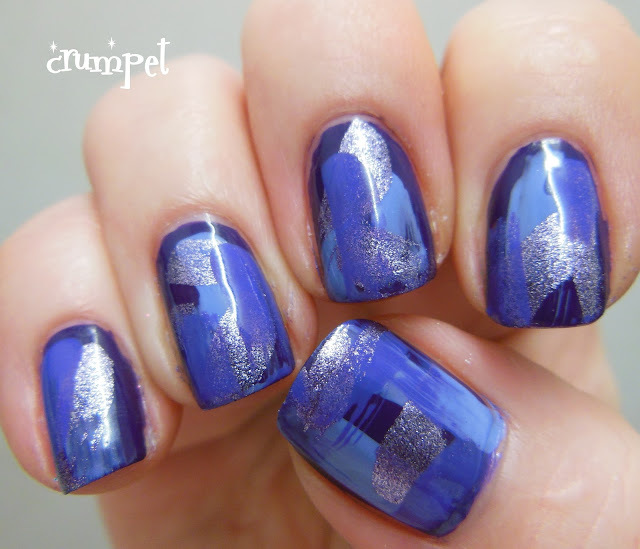 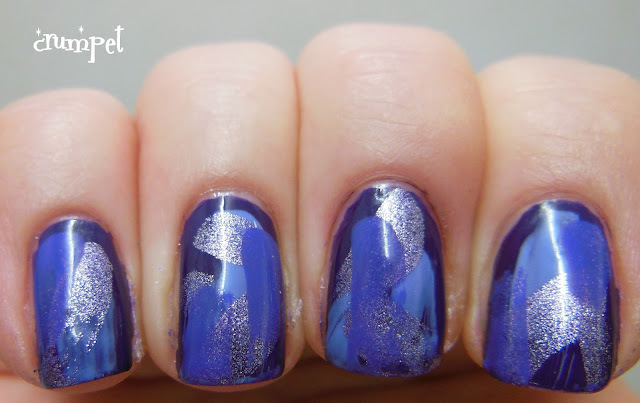 Today's mani is a companion piece to the short stroke mani I posted a few days ago - HERE. 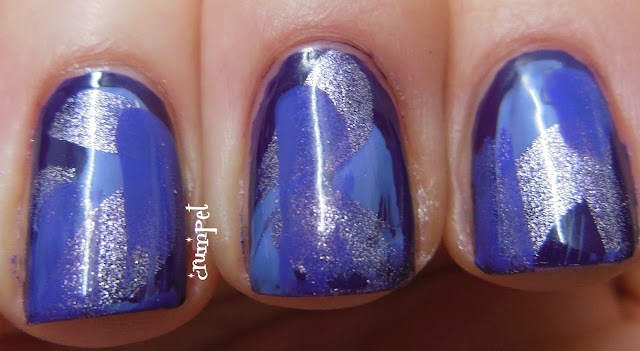 Whereas that one depended on lots of short swipes of the brush, this one relies on fewer, longer strokes. 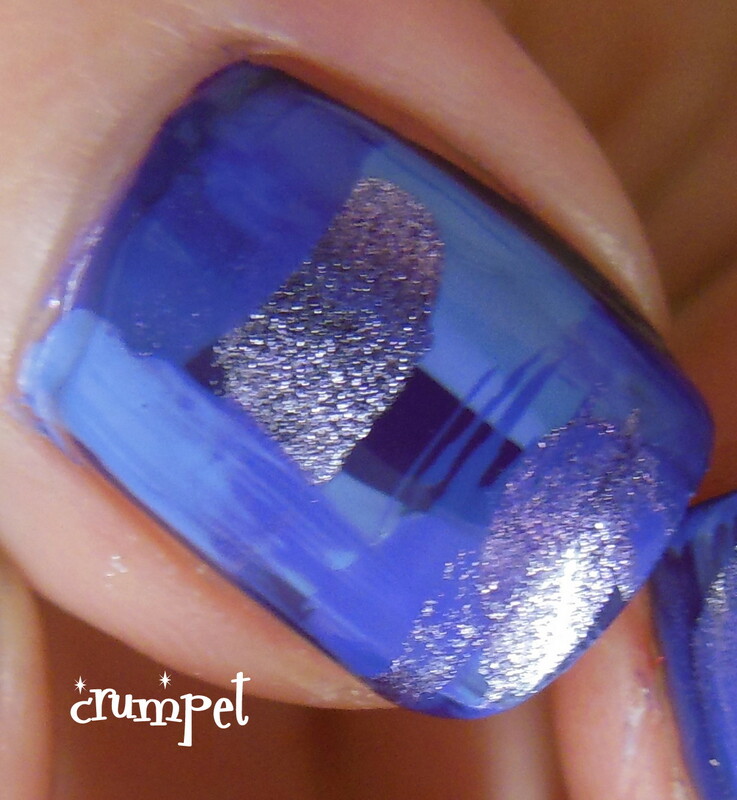 Like it's companion, this is random, and there's no right or wrong, making it a great splodgers mani. 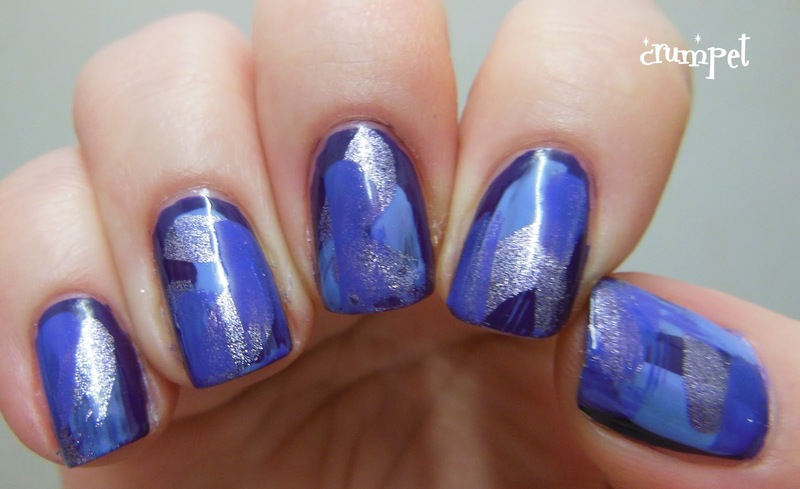 Again, you want to vary the texture a little bit - but only with 1 of the polishes. For this I used a base of Zoya Pinta and then ManGlaze Mink Mitten, OPI Planks A Lot and a medium purple KIKO. I love the laziness of this - it's simple, and effective, and it was just as popular when I wore it to work as the short stroke version.